CACI International has received a potential one-year, $41.5 million task order to provide engineering services for a U.S. Army program that seeks to facilitate the analysis of commercial-based technologies in support of mission requirements worldwide. 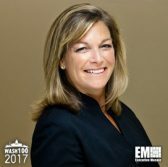 “Our partnership with the U.S. Army’s Intelligence and Information Warfare Directorate in support of its critical Commercial Based Technology Analysis program leverages the Army’s innovative approach to technical intelligence analysis to ensure our nation continually stays a step ahead of evolving threats,” DeEtte Gray, president of U.S. operations at CACI and a 2018 Wash100 recipient, said in a statement published Tuesday. The company will support the service’s CBTA program across several areas that include reverse-engineering assistance and technology replication support; technology characterization through software, electrical and physical analysis; and technology function assessment. The General Services Administration awarded the task order through the One Acquisition Solution for Integrated Services contract vehicle.